Phobia is something can capture anyone. We all have a specific phobia in our mind for many things. But what if someone has a peculiar phobia? There is some phobia like girls get scared while they find any spider in their room, even boys are captured with the same phobia. The most common phobia you must have heart height fear, or fear of water. But what if someone tells you about their food phobia? Does it sound same? You must be wondering, how can it be possible, or else does that exist too?We can’t become judgmental on anyone perception. We all have our own perception and can’t make fun of anyone. Though it might sound funny to most of you, we need to understand another sentiment. While someone is captured with such phobia psychologically he might experience theweird situation. It might be because of appearances too. We never know here are lots of factors to influence anyone phibia toextends. While making our solution regarding this we need to know whole in brief. For instance distinguish it either it’s just a dislike from specific food or it has taken a form of fear. Dislike can’t be considered as phobia, but it may surely give initial structure to phobia. Opting for clean eating may prevent you from your food phobia. Due to our lazy nature we neglect this habit. People usually get scared of many foods which looks like a dirty food or resembles their structure with other.For instance ahot dog, noodles.Due to name also some of us prefer to not to take ahot dog. We have our misconception that it is made of dog. Which is wrong, but it doesn’t mean fine or healthy food option for you. Instead ofthis kind of food you can alternate with ahealthy option. A hot dog can’t be fresh, as it is made with thehighly processed processor. We have our perception in mind regarding food because we get it from factories. Most of them are prepared after a long time. Clean eating can fade away all your negative ideas.We don’t find anything wrong if it has nutritional value. If you have aphobia to take alternative with other food which can provide you same nutritional value. Before getting fascinating toward any food, we also need to make out initial concern as per our body need. Though we have our nature whenever we find phobia from our food due to their structure or colors we prefer appealing and pleasant food that may end crave and full our tummy. But it’s not the solution for this. All appealing food can’t be good. We all are aware of chemical indulgence in food. You can either opt for associated food brand or try your food from the assured vendor only. Your body needs anadequate amount of protein, carb, and fiber. Before you eat anything appealing see whether it provides you whole nutrition as mentioned above. Your phobia may lead you to wrong way, but you can’t be careless. You can opt for atrusted brand like CakenGifts, which is the best online portal for desserts with awide range of flavor to end craves of your palate. You can get designer cake delivery in Gurgaon with this brand. Overcome your phobia by lingering with these desire cake won’t make you reluctant until or unless you will finish it till the end. Your phobia may be the result of repeating appetite too. Sometime we keep on spending our week with same food. Does it feel good having ladyfinger whole week? 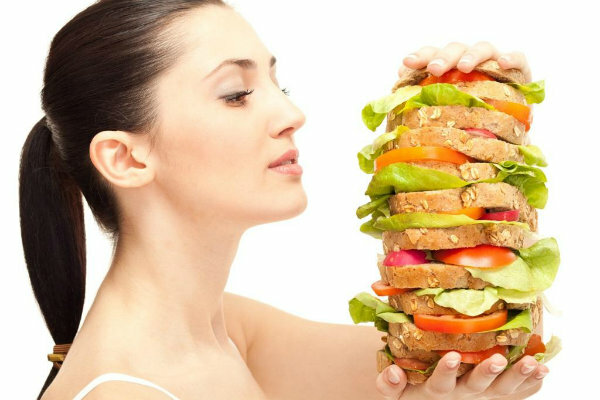 Even though you have your desired food on your palate, it can’t give satiety if it will be done in repeating mode. We fed up with thesame appetite and gives rise to phobia. Furtherintake of same food makes us frustrated. So bring change in food habits. Try everything. Make a checklist in your cook book with thefollowing ingredient which can be made within week alternatively. Your palate must need to change appetite. Treat your palate luscious food sometime like dessert with CakenGifts.in or else a simple dinner with soup and salad.